This year has started out with one heck of a bang! Unfortunately, that means that it’s been an insane January and early February for me – which is why this newsletter is a bit late. Here in California, Imbolc has nothing to do with flowers poking up from snow. In the urban area where I live, it’s not about the lambs either. Imbolc is, for me, about beginnings. It’s the first High Day of the secular New Year. As we go through the Wheel of the Year, as we have an opportunity to determine what each High Day means to us. I challenge you to think about what the High Days mean to you. How do you view Imbolc? Does it strike a chord with you? Is there a change in the weather that makes sense for you? Or a change in Nature? or is the time marked by something else? If you’re doing the Dedicant’s program, these thoughts can help you with your essays too. Late last year, we had the first online text chat, and this year we’re continuing them. The next chat is on Feb 22 at 7:00pm in the ADF NW Discord – https://discord.gg/7hymny3 – in the Lounge text channel. All are welcome. 2017 was a difficult year for many, so here’s to a better new year! 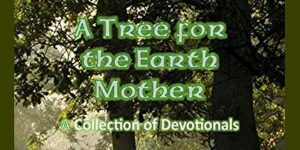 Archdruid Jon Drum is the editor on a new collection of devotionals to the Earth Mother. I’m thrilled to be included with some of Pagan’s most prominent names in this devotional. The book is available in eBook and physical format. It’s also available on Kindle Unlimited if you subscribe to that service. Metro News did an article on Imbolc, Candlemas and Brigid’s Day 2018: what is the festival all about? Some new, and not so new, resources that any Druid might find useful! Damh the Bard has released a new album that tells the take of the Mabinogi. You can get the album from his website. Check out this online Pagan Calendar to help you find information on the moon cycles and seasons. You can see what’s coming up on our Northwest Events Facebook page at https://www.facebook.com/ADFNorthwestEvents/. You do not need to be logged into Facebook to see the page. Looking for some pagan-friendly reading? Check out these sites! Natural Pagans – aggregates posts from several naturalist Pagan blogs across the internet. Wild Hunt – your pagan news site! Witches and Pagans on Pagansquare.com – Hosted by the Witches & Pagans site there are a lot of good bloggers here too! A reminder that ADF is supported by your donations! As a non-for profit organization, all of your donations go back into our operations and to support our traveling Clergy and Regional Druids. Are you looking for archives for our mailing list posts? or do you prefer to use forums rather than mailing lists? Check it out to get this latest words. ADF members are working hard to get information about their spirituality and their practices out there. Check out these podcasts, and remember to rate them too! now has a Patreon page! Help to support this beautiful site with it’s many (and increasing) polytheist shrines! Victoria S. is requesting submissions for a new anthology about ways that we can connect with the Divine. Have questions for our Regional Druid? Contact Victoria at adf-northwest-rd@adf.org.